How to add notes to SiteMap nodes ? 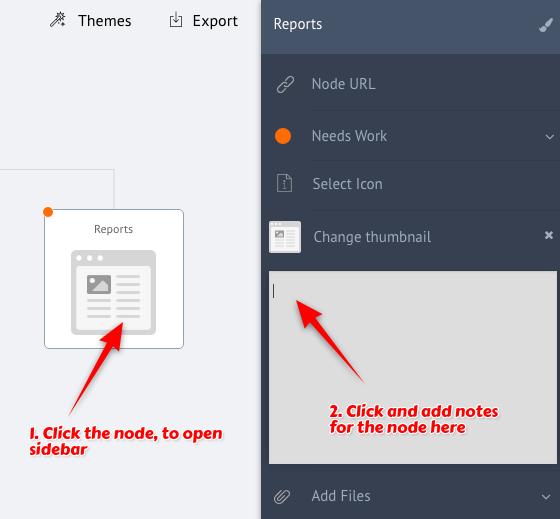 Users can quickly jot down notes for a page node using the sidebar. Notes are automatically saved and only supports plain text.